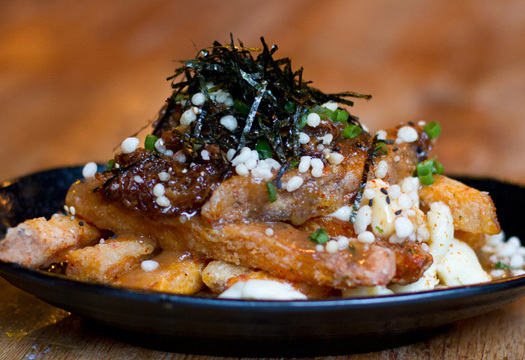 La Poutine Week Preview and Giveaway - Shut up and eat. Get focused immediately because your strict salad regimen starts TODAY. 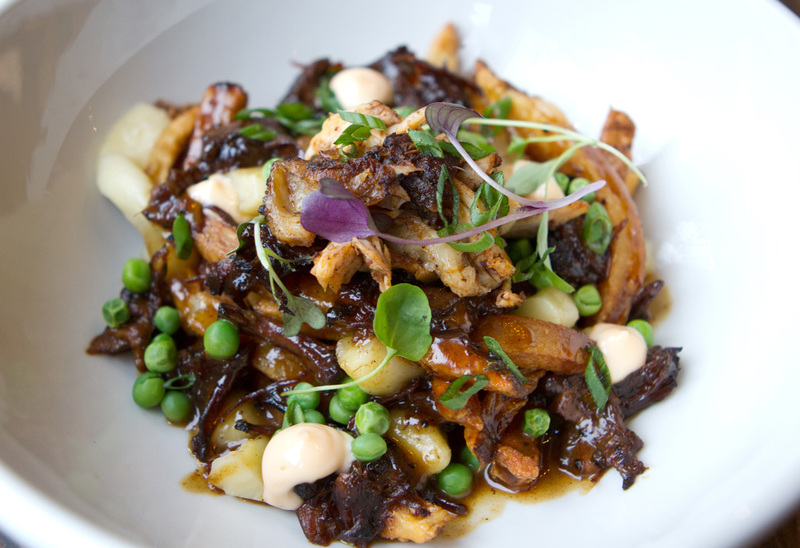 Dust off your gym pass because you’re going to be upping your cardio in preparation for one of the most anticipated festivals of the year: La Poutine Week. 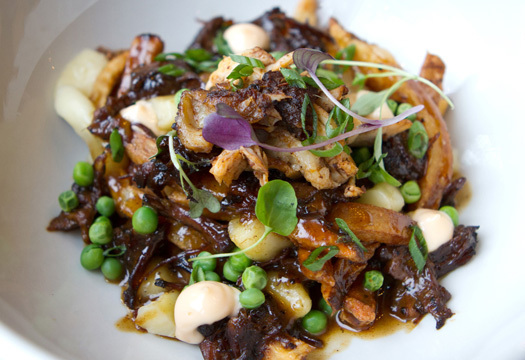 Next week, February 1st to 7th, Montreal will be celebrating our unofficial-official national dish, the poutine. 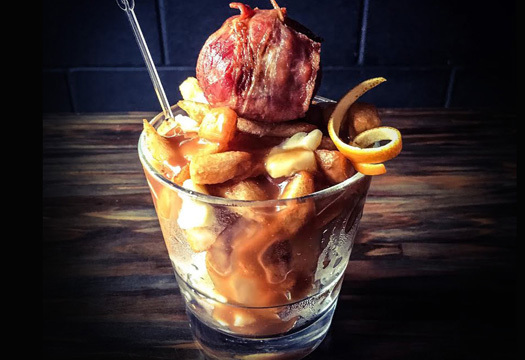 This fourth annual week-long festival will see over 40 restaurants in Montreal serving creative takes on the humble poutine! 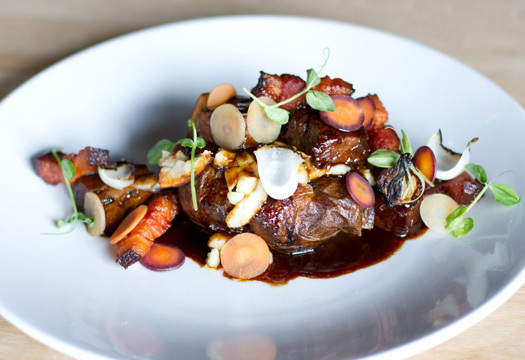 The 2016 edition of La Poutine Week will feature the introduction of La Passe Poutine – a bracelet that will entitle you to a 15% discount off of all specialty poutine dishes at select partnering restaurants. Download the app, ‘La Poutine Week’ from the iOS and Play store, to keep track of where you want to go and what you which poutines you want to eat and use the app to scan the special code to cast your vote in the categories such as, “The Peoples Choice Poutine”, “The Healthiest Poutine”, “The Most Original Poutine”, and more. Register your entry through the contest app below! A classic poutine made with Jim Beam bourbon-infused cheese topped with Jim Beam bourbon poutine sauce, Angostura and orange zest. 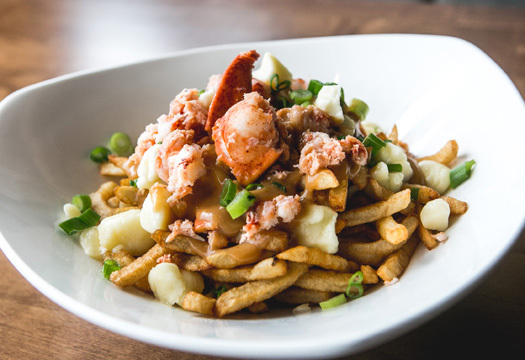 Signature fries, lobster chunks and cheese curds. 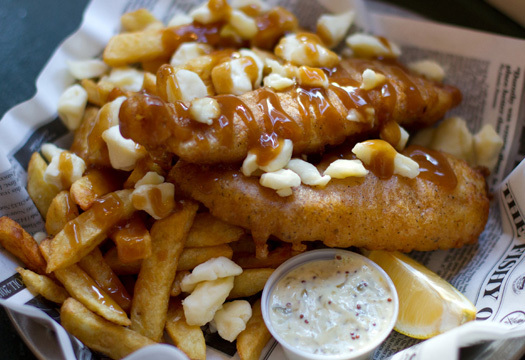 Poutine battered sole with chips smothered in gravy and cheese curds. Potatoes, cheese, hollandaise, mole and coffee-rubbed macreuse steak topped with a perfectly poached egg. Sweet potato fries, white miso gravy, cheese curds, tempura flakes, teriyaki-glazed pulled pork, toasted sesame oil, kizami nori and togarashi. 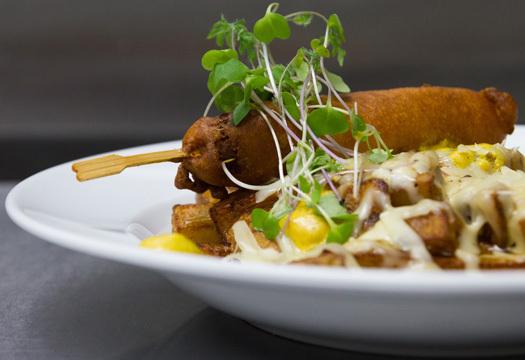 Fresh cut fries, homemade gravy and cheese curds, topped with their famous four-cheese mac & cheese, fried smoked bacon and green onions. 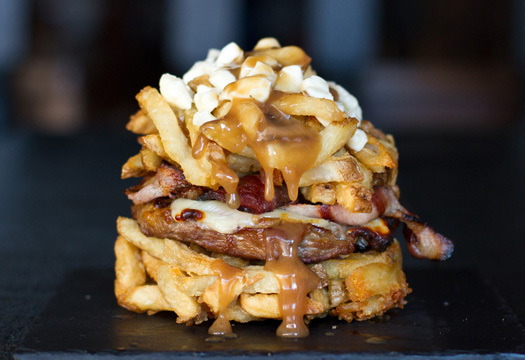 A grilled triple-A beef patty, sandwiched between two French fry “buns” topped off with cheese curds and their signature peppercorn poutine sauce. Vegetarians may replace the beef patty with a Portobello mushroom cap at no extra cost. 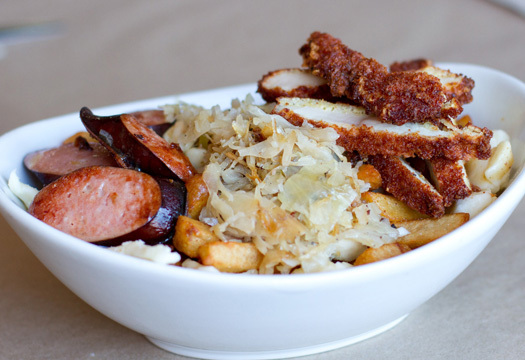 Fries, cheese curds, homemade sauce and smoked bacon stuffed with Swiss cheese, chicken schnitzel and braised cabbage. Potato hash browns cooked in duck fat, mixed with pulled pork barbeque sauce and maple syrup, with a slice of Charlevoix cheese and sour cream. 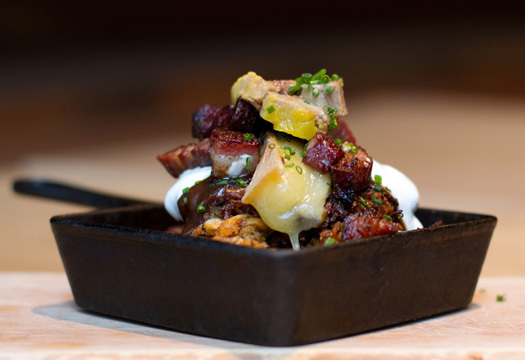 Fried baked potato mixed with beef bourguignon short ribs and truffled cheese. Jerk spiced organic chicken, Québec cheese curds, braised oxtail gravy and scotch bonnet aioli. 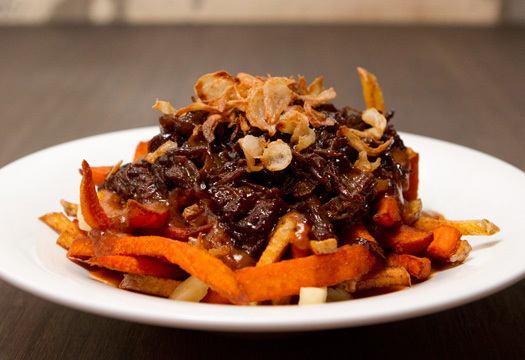 Yellow and sweet potato fries and cheese curds covered with veal and beer gravy, topped with caramelized onions, pulled bison braised in dark beer, and finished with beer-fried shallots. Homemade pogo on Yukon gold fries and award-winning Zacharie Cloutier cheese topped with yellow mustard gravy in honour of the Montréal Expos. 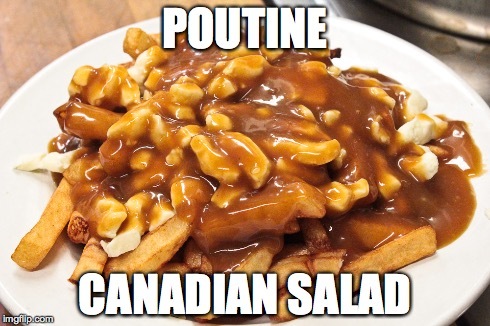 I have tried all the classic montreal poutine places and I have to say that the best poutines are found in Montreal arenas (Excluding the Bell Centre). There must be something about the hockey atmosphere but it makes eating a poutine that much better. I love going to La Banquise! Best place for poutine! Oh, I’m so not a connoisseur but want to up my game. Restaurant La Belle Province has been my go to spot up till now! La Banquise, but I would love to try the Fabrice and the Dirty Dogs ones. A.A. in St-Henri! 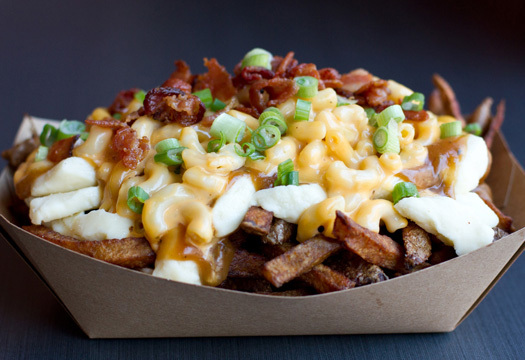 Poutine perfection. Poutine from Greenspot, there are so many choices!